The floors featured here and many others throughout our site are decorative self-leveling concrete and cementitious overlays. These high performance coatings provide unlimited design options that work with every interior design theme. Many people may assume our surfaces are marble, tile, or granite but they aren’t. They’re long lasting, high performance self-leveling concrete and cement overlays. Some are polished, others have a slightly textured sandstone appearance. 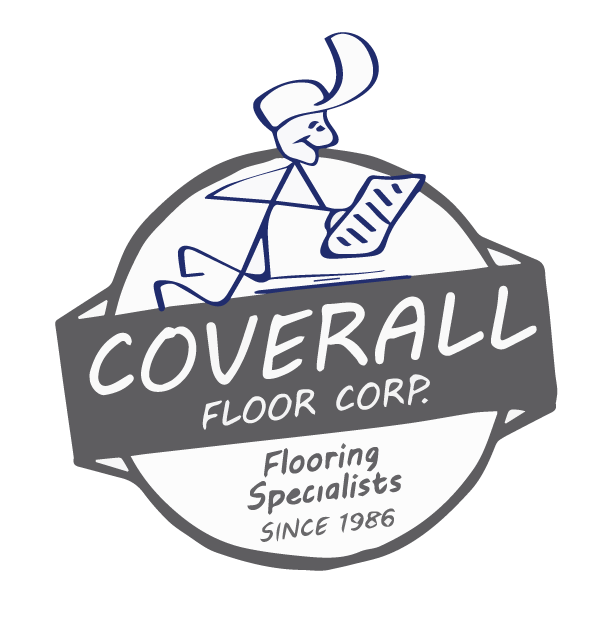 CoverAll Floors Corp. recommend self-leveling concrete for cement flooring that is uneven or damaged or if there are height issues involving doorways, fixtures, or adjacent hardwood or tile floors. Self-leveling concrete can be added at 1/4” up to 1” thick to meet exact specifications. We are one of only a few companies in Western Massachusetts that use a pump to generate the leveling concrete. Self-leveling concrete can be designed with integral color, stains, dyes, colored glass and lightly ground to expose aggregate and polished. The technological advancements of self-levelers and new tooling has greatly expanded the scope of concrete flooring function and design possibilities. Concrete overlays further expand your design options. These toppings are much thinner then self-leveling concrete, usually about 1/16”-1/8” thick. Overlays are usually applied in two or three coats which may include a primer, a second coat, and a super fine top coat. Although the first coat may be applied with a trowel, new techniques, equipment and refinements with overlays have enabled us to spray the final layer with extraordinary results. Experience and skill matter with all of these surface systems, with our craftsman taking the time to deliver superior results.